Amazon Chime is a secure, real-time, unified communications service that transforms meetings by making them more efficient and easier to conduct. The service delivers high-quality audio and video through an application that is easy to use and stays in sync across all of your devices. With Amazon Chime, meetings start on time, and a visual roster makes them easy to manage. 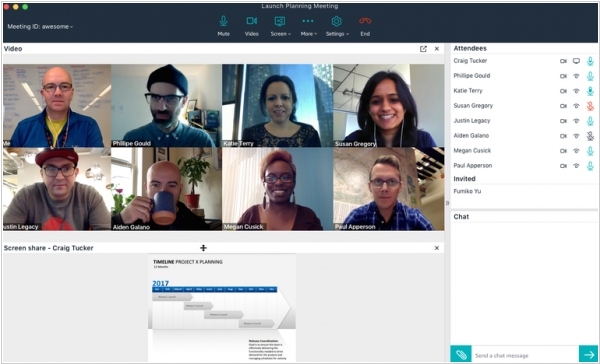 Amazon launched Chime, a video-conferencing service that will compete with Skype for Business and WebEx. Chime is provided by Amazon Web Services, the cloud-computing and storage division that makes up a big chunk of Amazon's business. 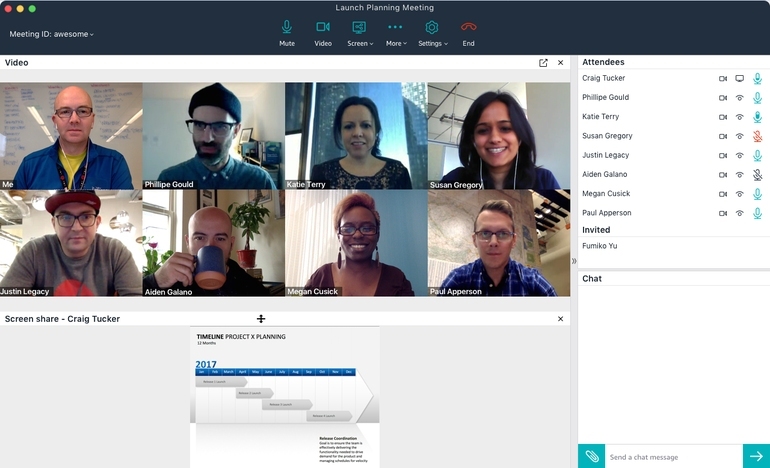 The online meeting tool lets users switch between Mac, Windows, iOS and Android devices to use video-conferencing, screen-sharing, file-sharing and a chat feature. Chime costs $2.50 per month per user for a plan with screen sharing and use of a corporate directory, and $15 per month per user for a full plan that offers video meetings for up to 100 people — the version most businesses will need. A basic plan that allows video calls for two people and chat features is free. Since Chime is provided by the security-focused Amazon Web Services, the video-conferencing tool encrypts all communications and doesn't store chat history.